Our Whelping Room can house 3 litters at a time and is climate controlled. 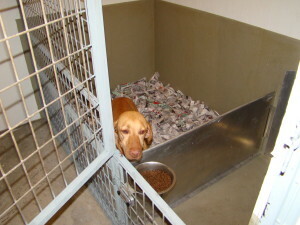 We have air conditioning and heated floors for the comfort of the mothers and puppies. 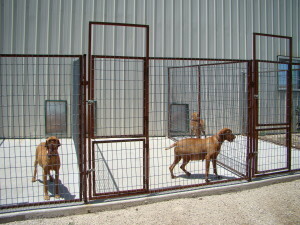 This is where the puppies spend the first 6 weeks of their life. 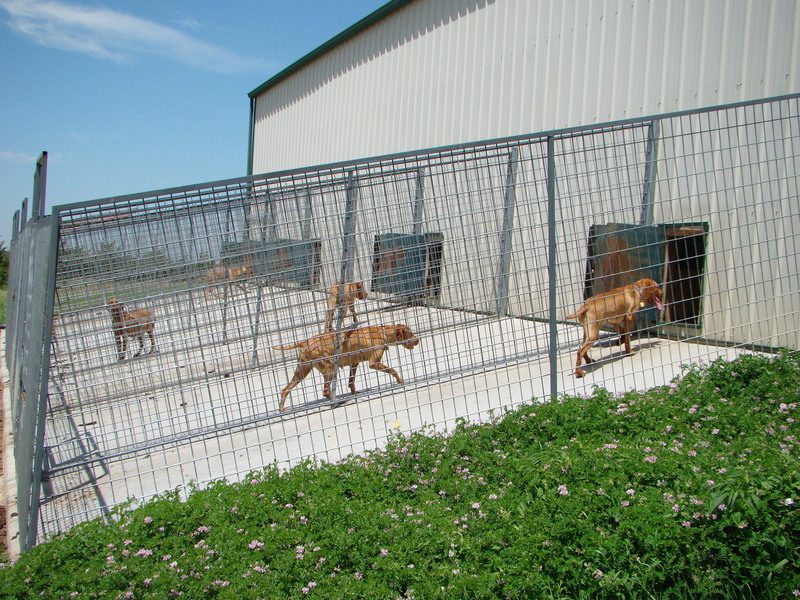 Mothers can remove themselves from the litter and go to an outside run when they need a break from the family. 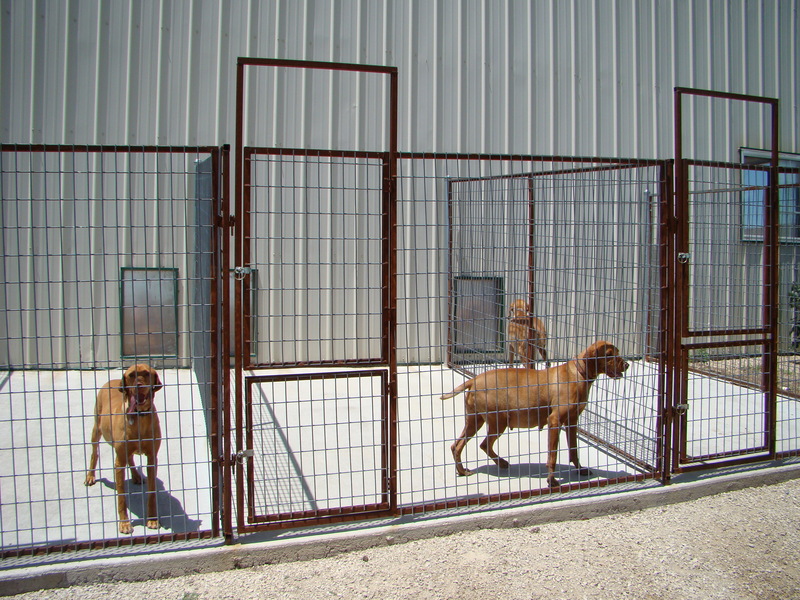 We can house seven dogs in our main kennel. 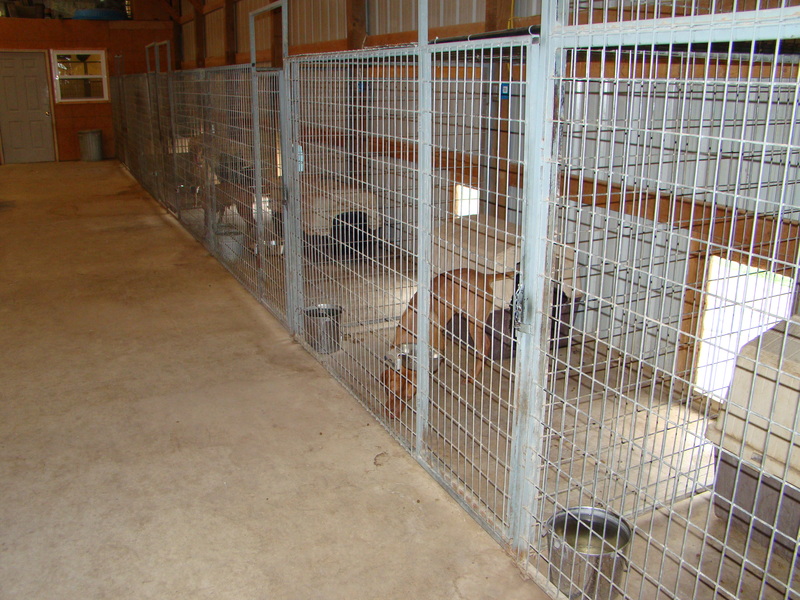 Each pen has an inside living quarters and an outside run. Picture of two exercise runs. 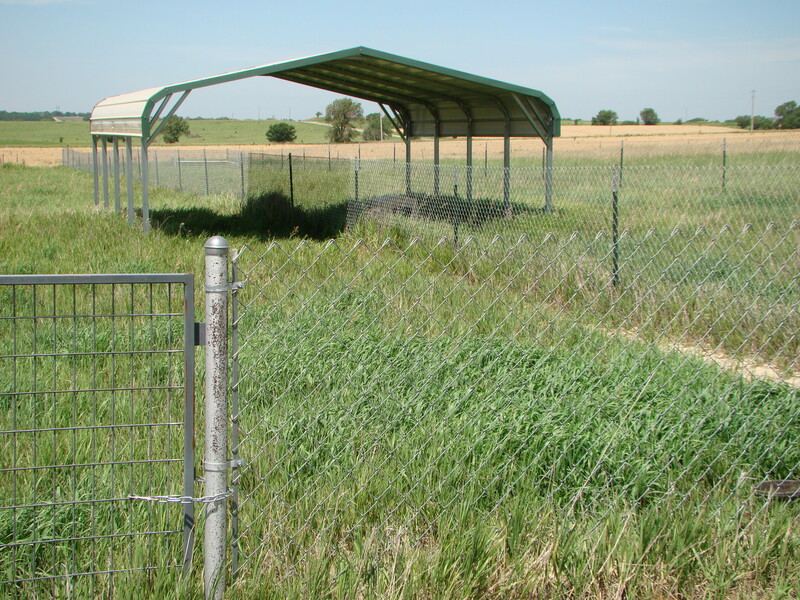 They measure 50 feet X 200 feet. 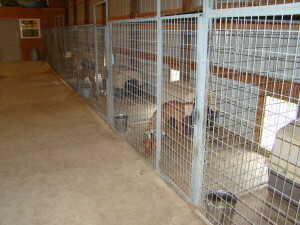 These pens are used for breeding and exercising puppies safely.